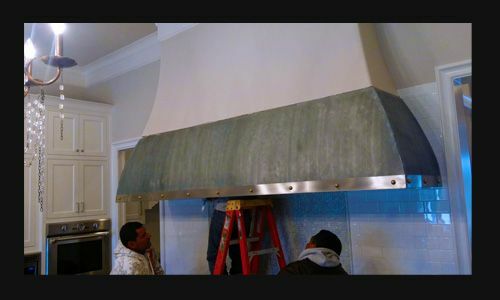 This is a very large zinc hood with a stainless steel band with decorative gold bolt head accents. 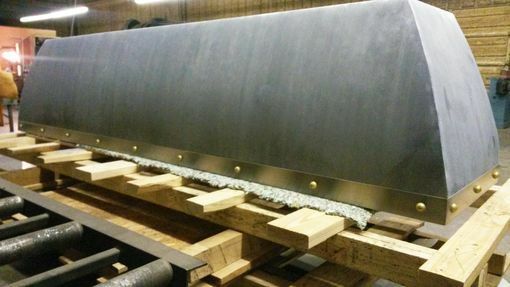 This particular hood is 118" wide, but can be made to custom sizes. Vent pack insert can be included or you may just buy the shell.